Most people, especially women, wear their birthstone just because they look beautiful. But do you know that birthstones are not just related to one’s birth month? They also have their own unique meaning and are thought to affect one’s life. This guide will take you through everything you need to know about birthstone colors, names and their meanings. 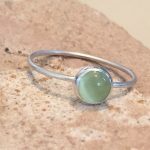 note: links for birthstone jewelry are affiliate links and we may earn a small commission – thank you for supporting our small business. The Assyrians were the first to be associated with birthstones. Many years afterwards, Indians, the Babylonians, and the Jews also found something special about these stones. Maybe for its incredible powers, healing properties, or perhaps for the historical relevance, but it happened that at least one gemstone was associated with a particular month. At that time only people who could afford the price tag that comes with gemstones could wear them. And in certain parts of the globe, and as also confirmed in some passages of the Bible, birthstones were only worn by priests. It was considered a precious stone that shouldn’t be accessed by just anybody. Birthstones were not easily accessible. They were not affordable. Despite the fact that the uniqueness and meaning of birthstones remained intact, a lot has changed. Take, for instance, the red color of the birthstone — which beforehand was categorized as one and the same — is now carefully sorted into the reddish-brown garnet birthstone of January and the Ruby birthstone of July. In 2002, Tanzanite was added to the December birthstone list. That makes it three birthstones for December alone. December isn’t the only birth month that has more than one birthstone, though. Birth months like October have the Opal and Tourmaline for its birthstones. August has the Peridiot and the Spinel, and November, which has the Topaz and the Citrine. Women today combine different metals and colors and pair matching birthstone jewelry. Needless to say they look gorgeous. They’re stunning. And while birthstones used to be worn for the benefits of the wearer alone, today they are our go-to for anniversaries. They profess our love and commitments to the special people in our life. If you factor in the historical significance that are often associated with these birthstones, you can’t go wrong. 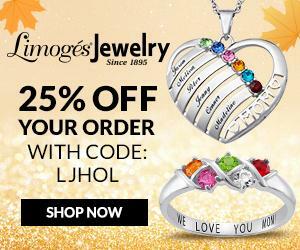 When we give birthstone jewelry we are wearing or giving something meaningful. In contrast to the way birthstones were worn in the past, there are now thousands of reasons birthstones can be worn. It could be in memory of a remarkable achievement or event, honoring the birth of our children, a celebration of something or someone special, for fashion, or just for the fun of it. Today, birthstones are worn by anybody. You can get them at a wide range of prices – from thousands of dollars to under $5. We’re more flexible and creative in how we wear the stones too. They are gorgeous in earrings or even as anklets. You might choose to wear a lone color or otherwise mix them with metals like the diamond or even other hues of the different birthstone months. There is something for everybody (i.e you can find the stone that matches your birth month). 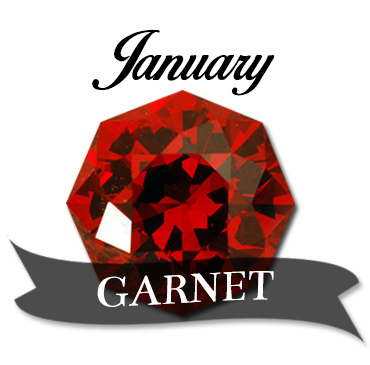 Garnet, the birthstone of January, comes in several shades and colors. While the most popular color of a Garnet is reddish-brown, it is, however, found in other colors such as purple, pink, violet, green, yellow, orange, red, brown, black, and even colorless. Garnet derived its name from the Latin word granatum, meaning a grain or seed, which is why it is often associated with the deep red seeds of the pomegranate. This birthstone was considered a great gift to symbolize friendship and trust. At other times, it could be symbolic of passionate devotion, friendship, vitality, balance, purification, love, strong, intense feelings. Garnet keeps away nightmares and is believed to keep the wearer protected through dark times. Garnets were used for beads and jewelry by the Egyptians. The Indians considered the Garnet a sacred stone. 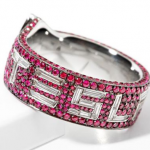 In ancient times, the Garnet was used as a talisman and was a prized jewel. A few of the places where Garnets are mined include Africa, Australia, Brazil, Canada, Chile, China, the Czech Republic, Spain, and more. Amethyst is the birthstone color for the month of February. In Ancient Greeks this stone was used for protection against intoxication. Amethyst is considered to bring peace and tranquility and it also provides protection to its wearer. As for love, it’s said to strengthen the bond of love between two people. Mined in places like Brazil, Uruguay, Africa, South Korea, Russia, United States, Amethyst is the birthstone for February. The amethyst has tones of deep purple, dark violet, and the pale lavender. This gem’s rich color is associated with royalty and nobility. It is a stone that was believed to protect the wearer from drunkenness and enabled them to maintain a balanced mindset. Heat strips Amethyst of its color and causes it to turn yellow, so this why it is important to keep amethyst jewelry away from the sun. The amethyst birthstone symbolizes sincerity, security, spirituality and contentment. Aquamarine is the Birthstone for March. The mesmerizing color of birthstones for March ranges from pale to deep blue. And being reminiscent of the deep blue sea, Aquamarine is often considered to protect wearers at sea. It is where it derived the name Aquamarine. The common association of Aquamarine with water led people to believe that the healing power of the stone works best when immersed in water. Aquamarine can be used to heal illness of the liver, stomach and mouth. It symbolizes youthfulness, hope, love, and also encourages making new friends and relationships. 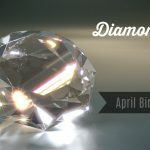 Diamonds are the birthstone for the month of April. Diamonds are commonly associated with love which make it the perfect gift for a loved one. This is the birthstone stone for the month of April and is the most popular of all gemstones. The name itself is derived from the Greek word, adamus, which means invincible. The gemstone represents strength and can therefore be cut through only by another diamond. Diamond draws its strength from the fact that it is the hardest natural substance ever known to man. The place for this in birthstone jewelries is durability. This toughness in the properties of the diamond should however be taken into cognizance when storing them, as they can damage other jewelry. It should not be forgotten too soon the aesthetic beauty of this stone. When worn, for instance, as a ring, it dazzles pure and sparkles beautifully. That’s why it’s most often picked for engagement and wedding rings. 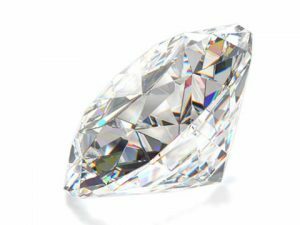 Generally, Diamonds are known to be colorless. The most seen are the white diamonds. But then again the color of a diamond will depend on the type of impurities the stone contains. Diamond on many occasions come in shades of colors ranging from yellow to orange to pink to blue etc. 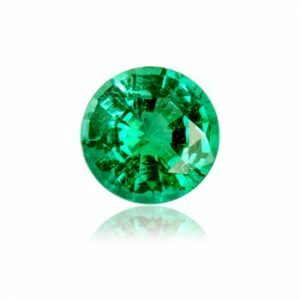 Emerald, the birthstone of May, carries the rich green color of Spring and radiates a beautiful vivid tone. Symbolizing wisdom, faith, success in love, domestic bliss and known for its brilliant rich green color of the emerald, this birthstone doubles for its healing abilities, futuristic tendencies, and is also characterized with fertility and spiritual rebirth or renewal. Similarly, the moguls of India revered Emeralds so much that they inscribed the gems with sacred text to be used to ward off evil. 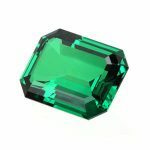 The precious gemstone, apart from its rich hue of green, are well available in the colors of blue or yellow undertones, and may completely lose its color in the presence of intense heat. Considered the rarest gemstones, Emeralds are typically mined in places like Colombia, Brazil, Afghanistan and Zambia. Pearl, Alexandrite, and Moon stones are the three birthstones for the month of June. Sometimes Pearl and Moon stones are thought to be the same. And of the three gemstones, Pearl is the most popular while Alexandarite is the rarest. 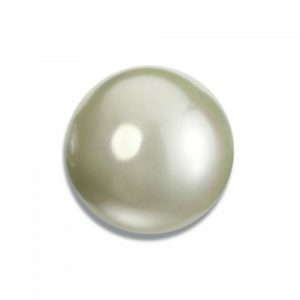 Pearl symbolizes success, happiness, and love. And unlike other gemstones, Pearls are not mined. The most highly valued pearls are created inside of saltwater oysters and freshwater clams where the shells are lined within the nacre. Pearls from other mollusks are however considered to lack the desired luster and hence considered to be of lower value. Pearls are measured in grains and are more sensitive to elements such as humidity, acid, and dryness than other gemstones. Cultured pearls are essentially the same as those found in nature, the only difference being that a foreign particle is intentionally inserted into the mollusk with the express purpose of creating a gemstone. Rubies, the birthstone of July, are considered the king of gems and represent love, health and wisdom. It is believed wearing a fine red ruby attracts good fortune while warding off evil. Ruby could also symbolize love and passion. 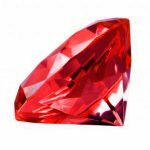 The Ruby is the most valuable gemstone and its value increases based on its color and quality. To show how highly sought-after the Ruby is, ancient Chinese warriors who were known to wear Rubies on their armor. In fact, some Arab countries use the Ruby in the manufacturing of bullets. The believe is that a Ruby bullet will cause the enemy to bleed more. The word Ruby is derived from the Latin word, ruber, meaning red. Most Rubies as seen today are being mined in Africa and Southeast Asia. 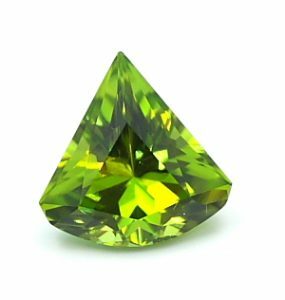 Peridot, the most popular birthstone for August, is one of the rare cases where a gemstone is found to be occurring naturally in one color. The Peridiot is olive green and the intensity of the color often depends on the amount of iron in the crystal formation. The name Peridiot is of French Provenance, and is said to have been first mentioned in the will of a bishop when three rings was bequeathed to St. Albans Abbey, one being Peridiot. The Peridiot is very often confused with the Emerald, and is sometimes called “the evening emerald.” It is said to symbolize strength, and if set in gold, will protect the wearer from evil dreams. While Peridiot is believed to instill power and influence in the wearer; Spinel, another birthstone for August, is available in brilliant range of colors, and is believed to protect the owner from harm and soothe away sadness. Though Sapphire, the birthstone for September, comes in a variety of colors like green, pink, white, and yellow; they are, however, mostly associated with blue hues (or better yet the blue hues of the Sapphire are the most sought-after). A sapphire of another color, like pink, white or yellow, is what’s known as fancy sapphire. The sapphire is a precious stone alongside diamonds, emeralds, and rubies. So it could be said that it is the reason it is often being used as engagement rings. Sapphire is most desired in its pure, rich blue color. The gemstone apart from its purity which signifies heavenly grace, also embodies other enviable characters such as loyalty, trust, and faithfulness. Opal, the birthstone for October, represents hope and innocence and is believed to bring happiness and healing to all. Opal, a derivation of the Latin word opalus, which means a change in color, can sometimes be black or even transparent with traces of red or yellow. It is this property of the Opal that allows it to shimmer and exude such radiance in different light and angles. Mostly found occurring in the U.S., Mexico, and Australia, Opals are a gem formed by non-crystalline silica gel that seeped into crevices of ancient rock. Through time and nature’s heating and molding processes, the gel hardened into Opals. November birthdays are associated with two gems; Citrine and Topaz. Of the different varieties of colors of the Topaz, the prized Imperial Topaz, which has an orange appearance with pink undertones, is named after the island of Topazos. It’s often believed to symbolize consistency, faithfulness and friendship. Topaz is one of the two gems that are associated with the November birth month. It is often linked with strength and facilitates healing of breathing disorders, asthma and tuberculosis. Citrine is an alternate birthstone for November. The word Citrine means lemon and is often thought to facilitate digestion and the removal of toxins. Zircon, Tanzanite and Turquoise are the three gemstones for those born in December. 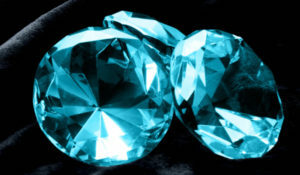 Zircon can be found in a variety of colors, but blue is the most popular. It is much less expensive when compared to diamonds. While diamonds commemorate love, this birthstone is believed to spark love and romance. An alternate birthstone for December is the Turquoise. Those who wear this gem stone are said to experience happiness and good fortune. Tanzanite has remained relevant owing to how it is believed to create a connection to the spiritual realm. In addition, Tanzanite is thought to keep the dignity and integrity of the wearer intact while bringing peace of mind.